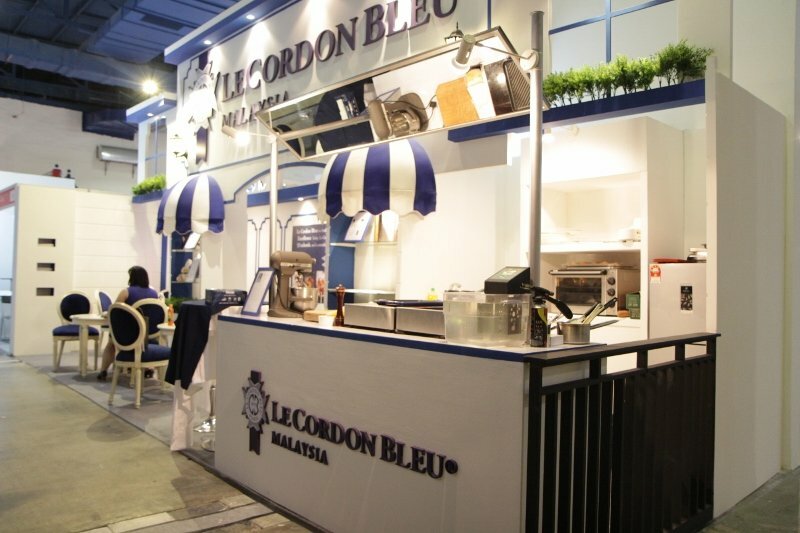 Sureworks Education Fair which was held at Mid Valley Convention Centre on the 12th and 13th December 2015, sees Le Cordon Bleu Malaysia participation in it. Several Chef cooking demonstration were showcased on both day itself. During the first day, Cuisine Chef Instructor, Chef David Morris, demonstrated various recipes, consisting of Madeleine, Sous Vide Salmon with a Trio of Pea, Pan Fried Rib Eye Steak with Snails and Her Butteres Potato with Asparagus, and Breaded Frog Legs with Salsa Verdi and Roast Garlic Sauce. On the second day, it was a demonstration of patissier by Pastry Chef Instructor, Chef Florian Guillemenot. Caramel Lollipops and Raspberry Nougat was showcased on that day. The marketing team were also on ground for counselling for those who were interested about courses by Le Cordon Bleu Malaysia. Would you like more information about the event? Kindly contact Ms. Kylie Tan at ktankhailee[at]cordonbleu.edu. Please replace [at] with @.